The Fantasy Hart Trophy is awarded to the week’s most valuable player. In a week ruled by goaltenders and low scoring, there was no clear standout to take the Hart award in week two of fantasy hockey. Realistically, week two’s fantasy James Norris winner Shea Weber or Vezina winner Devan Dubnyk both could have taken this weekly award, but for the lack of doubling up on names, Phil Kessel of the Pittsburgh Penguins deservedly is the fantasy hockey week two Hart Trophy recipient. Despite playing only three games over the past week, Kessel led all players in overall points, assists and power-play points. The right winger’s two points per game could be attributed to the Penguins’ strong power play, which welcomed back superstar Sidney Crosby and helped Kessel rack up four total power-play points. Owners of Kessel have plenty of reason to be excited as he seems to not be slowing down after having a very successful playoff run en route to the Penguins cup win last season. Since the start of last year’s playoffs, Kessel has been one of the hotter players in the NHL, recording 13 goals and 18 assists through 33 playoff and regular season games. With a healthy cast of superstars around him, Kessel seems set for a big fantasy season on one of the league’s top teams. The Fantasy James Norris Trophy is awarded to the week’s most valuable fantasy defenseman. 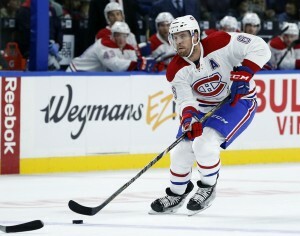 Ranked first among all defenceman across fantasy leagues, Shea Weber proved in week two that he is very comfortable in his new Montreal Canadiens surroundings. As the first shooting option on what is proving to be a lethal Canadiens power play, Weber has been an absolute force occupying owners’ defensive slots. Weber’s five points ranked him second in weekly point scoring among all skaters. His three power-play points tied him for fourth among all players and his two game-winning goals led the entire NHL for the week. His three goals through four games allowed Weber to put up forward-like fantasy numbers, making him all the more valuable to the teams which own him. Weber’s powerful shot from the point is once again turning into positive fantasy results. Since 2012-13, only Brent Burns has more goals among defenseman across the entire NHL, proving Weber’s strong start to the season is in no way a fluke. Owners will hope Weber can continue to be a top-end defenceman as he leads their team on what could be a very exciting first year with the Canadiens. The Fantasy Vezina Trophy is awarded to the week’s top goaltender. Week two of both fantasy and regular hockey was glaringly dominated by the men between the pipes, in what may go down as possibly one of the best fantasy hockey goaltending weeks in history. Devan Dubnyk showed up for week two of the fantasy hockey season looking like a man on a mission who single-handedly wanted to win the week for his owners through his perfect play. Starting three games against the Boston Bruins, Buffalo Sabres and the offensively heavy Dallas Stars, Dubnyk was the definition of perfect. Facing 94 total shots and making 94 saves on his way to three shutouts in as many starts, the Minnesota Wild goaltender looked next to impossible to beat as he seems primed to try and take on Brian Boucher’s shutout record of 332-minutes without letting in a goal. As mentioned, it was a great week for goaltenders as Dubnyk joined Carey Price, Marc-Andre Fleury and Martin Jones as goaltenders who won all three of their three starts for the week. Along with the impressively perfect winners, there were 10 goaltenders with two or more starts and a save percentage above .940. Dubnyk was also joined by Craig Anderson on Sunday as one of two perfect goalies on the week as Anderson amassed two shutouts through his two starts. Dubnyk’s perfect second week has fantasy owners feeling very optimistic about their goaltender as Dubnyk has led the Wild to the league’s third best record to begin this young season. Perfect performances every week like the past seven days would have to go down as wishful thinking for owners; Dubnyk posted the best stats of his career across a full fantasy week, in this, just the second week of the season.